As the saying goes, it always takes money to make money. Still, do you know about all expenses that are looking forward to seeing you on the thorny business path? Financial issues are among the most unpredictable ones. Therefore, you have to be ready to face the unpleasant surprises and prepare the solutions to them. 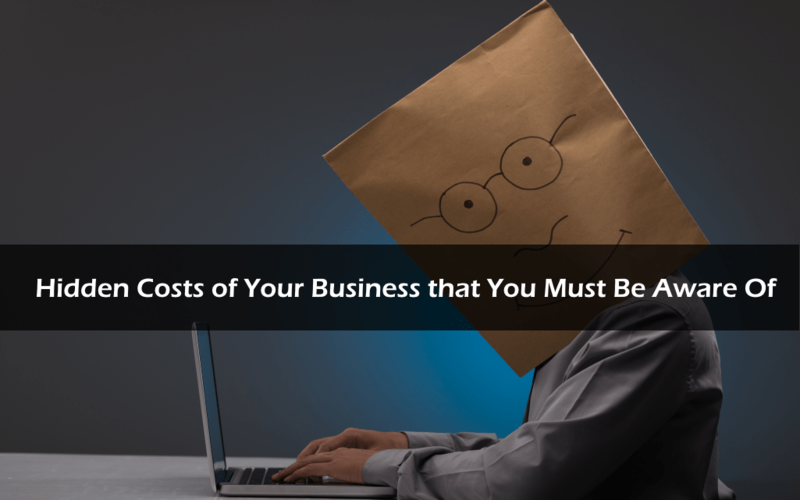 Not every business coach or experienced businessman will share the secret list of the hidden costs but we will. Check out these 8 hidden expenses to adjust the business plan to the real life and build a successful and stable business! Regardless of the age of your business, you still might look for the extra financial help. More likely that the first helping hand you will try to reach will be an urgent loan service. Today’s lending institutions launched various options to help business owners overcome financial difficulties. You can apply for the business line of credit, SBA loans, loans from the private lenders, personal loans to finance small expenses, etc. All aforementioned variants carry different pros and cons for you. 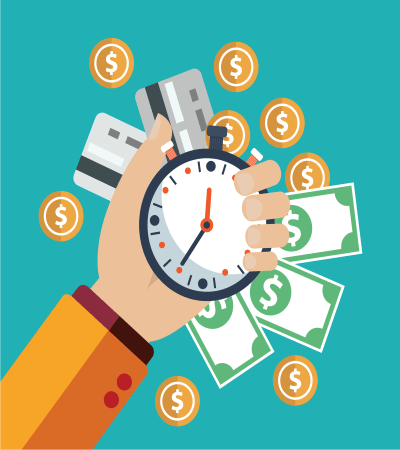 Your financial needs and creditworthiness are the individual factors and you might fit the loan that is killer for another company. Therefore, consult with a credit specialist, bank worker, or broker and decide together what loan is better for YOUR business and what loan contains no hidden costs. Retail shrinkage is a nightmare for the businessmen, who deal with physical products (mostly), but it’s also a magic. Shrinkage is hard to identify but it leads to the losses in revenue due to the shoplifting, employee theft, paperwork errors, etc. their shrinkage losses were greater than 2%. Yes, it might sound unsubstantial but not on a business plane. Just imagine that for a business with 1M in sales with 50% gross margins, the shrinkage at 2% can cost $10,000! By the way, the overall shrinkage cost for the US retailers was more than $49 billion in 2016! 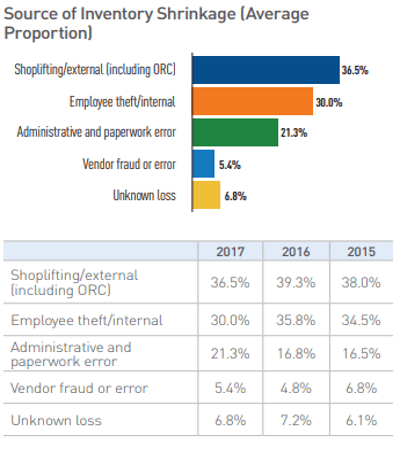 The information is taken from the National Retail Security Survey 2017. As a startup owner, you might not think about the reliable insurance. As a time goes and the risks increases, the business owners usually start looking for the policy. Even if you set the other priorities, you should think about the general coverage, commercial auto insurance, policy for your employees, etc. Forbes once resumed 13 types of insurance every business owner should have that includes Errors and Omissions Insurance, Property Insurance, Data Breach policy, Worker’s Compensation, etc. Do you have at least the one? 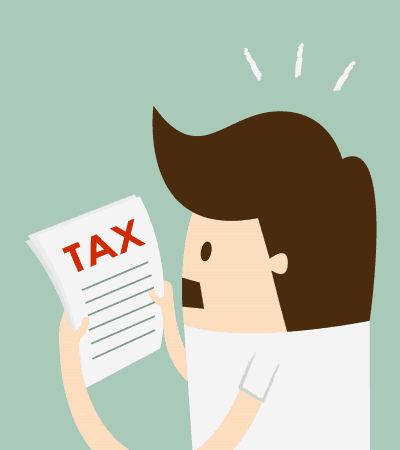 In order to be considered legally, businessmen have to pay taxes. Still, it happens that people pay thousands of dollars annually not being aware who uses YOUR money and how. In order to get information about your taxes, you should check out the IRS guideline on small business taxes. There you can also find all forms that you will need while filling in information about the taxes. Still, it’s better to hire a lawyer or tax expert. Probably, your business will benefit from the Limited Liability Company category or vice versa will suffer from the specific limitations of this system. You should understand what path to choose and qualified and experienced lawyer will help you. No, calculating the salary for your employees isn’t enough to clarify if you make the ends meet this month. You should take into account all perks and benefits. As a recruiter, you have to cover employment taxes, workers’ compensation, and fringe benefits (vacations, healthcare, retirement, etc.). In the result, the $50,000 salary can end up as the $70,000 one. If you didn’t expect it, it will (at the very least surprise you). If considering that the same situation will happen to all employees, it will definitely hit your pocket at the end of the month. We recommend you to make a list of administrative expenses and review it. Usually, people exclude a couple of things and save a lot by the end of the year. The most valuable investment is your time. When you start and even when you run a successful business, you still have to dedicate the huge part of your life to development and growth. Don’t forget that it’s better to hire experienced professionals (analysts, managers, software developers, lawyers, etc.) to make the right decisions and go in the right direction. This is the last hidden cost that we will mention in this article. Still, you will face plenty of them throughout your career. Therefore, find a reliable helping hand that will always assist in dealing with financial issues. Don’t forget about the business plan that will organize your activity. Without it, it’s hard to predict the expenses and losses. In order to be successful, system and self-organization are very important!